Sterling silver with circle measuring 1″ in diameter. 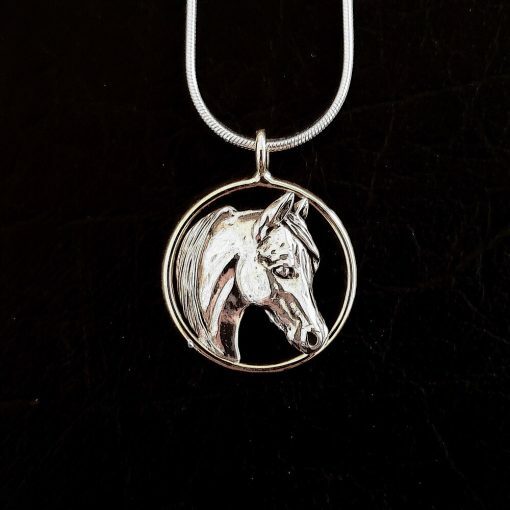 This sweet piece comes on a sterling silver 16″, 18″, or 20″ sterling silver snake chain. 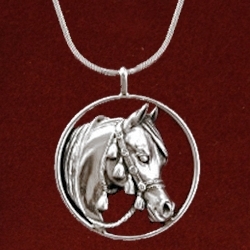 This Arabian sterling silver pendant is enhanced in a handmade circle measuring 1″ in diameter. 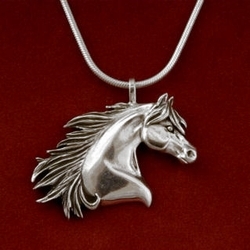 This sweet pieces comes on a sterling silver 16″, 18″ or 20″ sterling silver snake chain with lobster clasp. 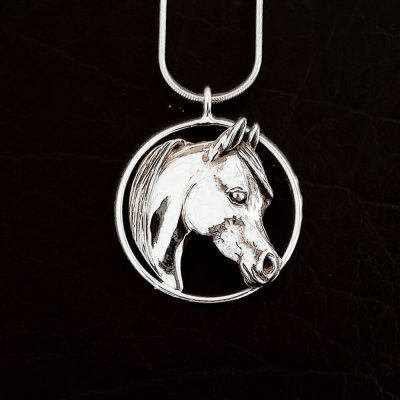 Also available with a 14k head and silver back and circle for $795.00. 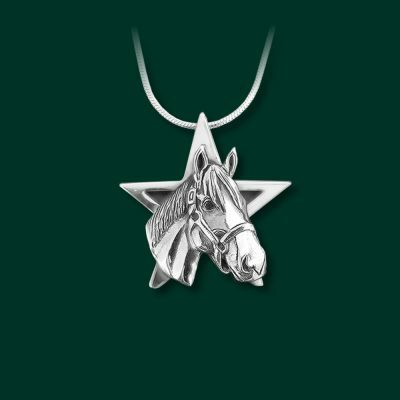 Perfect for the Arabian horse lover!